Player 1, 2 and defense skate off from the corner. 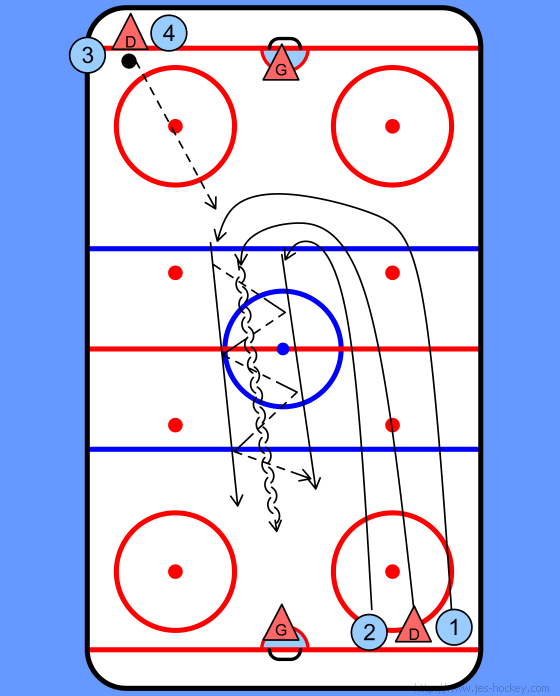 Player 1 receives the pass from defense in the opposite corner. Player 1 and 2 go down on a 2 on 1.